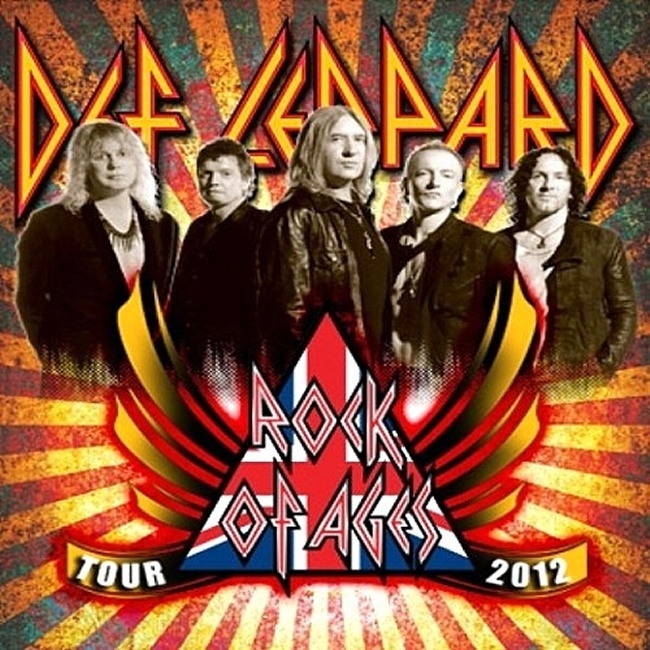 A new section has been added for the 2012 Def Leppard Rock Of Ages tour which is due to be announced soon. So far one date has been confirmed in Cadott, WI when Lep will play alongside tour partners Poison (see previous update). This will be the band's third appearance at Rock Fest. The band were due to play here last year but eventually had to cancel. That show was the first announced of 2011 on 15th February. The first major announcement of dates (courtesy of the official Heart website) came nine days later. The new 2012 tour section has been added to the Tour History and should contain many more dates in the coming days/weeks. At the moment the tour has not been named but is likely to feature the words 'Rock Of Ages' to tie in the the movie version of the hit Broadway musical that Def Leppard and Poison will be helping to promote. Visit the Tour News section to see the tour info revealed so far.